Making great first impressions – Every time! Since 2000, Southern Front Doors has helped homeowners in Houston and beyond make a stunning statement with beautifully crafted doors. Find out what we can do for you & your home. Beautifully crafted hardwood doors make for a warm impression. A classic option that gives an appearance of prestige. Distinctive designs combined with versatility and efficiency. Contemporary door designs that show strength and security. Shop for your brand new door! At Southern Front Door, we believe in giving the customer the power of choice. After all, it is your home! Browse our inventory of front, exterior, and entry doors that we have available for homeowners in Houston. Here in Houston, front, exterior, and entry doors make a big difference in how a person sees your home. At Southern Front Doors, we know that your home is your castle, and we believe that the importance of a door can’t be understated. We give our customers the power of choice, and here there is no wrong choice. Every model of door we carry meets our standard of quality, while fitting a range of styles and visions for your home. We carry wood doors, iron doors, fiberglass doors, and steel doors that speak volumes for your little piece of Houston. Front, exterior, and entry doors can be installed by our specialists. When we are in your home, we make sure to treat it like our own — with the respect and cleanliness that it deserves. We ensure that any work that we do is flexible around your schedule, quick, and cleaned up. We understand that you have a life to live and we try to have as little impact as possible. Even if you’re looking for a new door but are unsure if you can afford it right now, we offer financing options through Synchrony Financial, our partner. With no interest financing for the first 18 months, rates below the standard retail, and multiple payment options, you can have the door of your dreams in no time. If you are looking for quality front, exterior, and entry doors in Houston, look no further than Southern Front Doors. If you have questions or comments, contact us to set up an appointment. 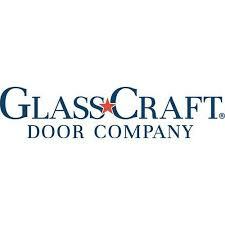 Browse our inventory of residential doors! We offer doors from all of the industry leading brands, including our own. You order straight from the factory or have it customized.